In my initial review of the Legacy Aeris (Issue 235) I found that it was an excellent speaker for its price. The addition of the new Wavelet processor, however, makes a great speaker even better. 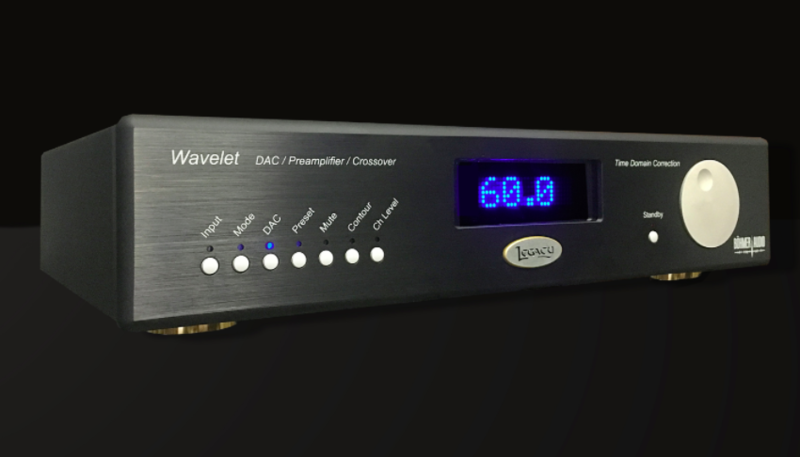 The Wavelet is a stand-alone electronic processing component that combines a DAC, a digital and analog preamp, electronic crossover, and far better room-correction features than were provided by Legacy’s original Wavelaunch processor for the Aeris. The end result is a combination that integrates electronics and speaker design in ways that not only do more to solve room-interaction problems, but produce cleaner and more musical sound at every dynamic level. The Wavelet also provides the kind of defeatable adjustments in the bass and the lower midrange that should be in the electronics and not the speaker, and which can help make many recordings sound more musical and realistic. Moreover, the Wavelet is the answer to my one major wish for an improvement in the original Aeris design: It provides automatic set-up and room-correction adjustment features. In fact, they are a snap to operate. The combination of the Aeris and the Wavelet are also relatively affordable by the steadily escalating pricing of the high end. The Legacy V that I reviewed in Issue 258 is the best speaker I’ve encountered with room compensation, but it costs $49,500—daunting even to most dedicated high-end audiophiles. Legacy has adapted the same Wavelet unit it developed for the Legacy V for use in the Aeris at a much more affordable $24,475. Moreover, users who already have the Aeris can buy the Wavelet for $4950, and the price for a consumer who wants to trade-in his original Wavelaunch processor supplied with the Aeris will be $3450. I’m not going to repeat most of the content in my initial review, but even a brief look at the photos of the Aeris in the Legacy website will show you that the it is one of the most attractive pieces of sculptured woodwork in audio. A cardioid-shaped radiation pattern to decrease boundary coloration from sidewalls while decreasing modal sensitivity at low frequencies. Increased dynamic range and waveform tracing accuracy by employing drivers with higher sensitivity and greater acceleration. The high-flux magnetic motors of the midrange drivers are larger than on most bass drivers. The Legacy dual AMT (Heil) design employs a 4" folded ribbon that hands off to a similar 1" unit at the shorter wavelengths. The AMTs integrate with a high-efficiency 8" midrange that together cover over seven octaves at a sensitivity of 98dB, and that I found helped produce something close to point source sound, in spite of the Aeris’ overall size, and to be smoother and more natural in the midrange and treble than any similar driver I’ve yet encountered. A titanium-encrusted 8" midrange with an enormous motor structure imported from Italy. Reverberation is minimized by reducing sidewall reflections via the radiation nulls to the side of the speaker. This open-air arrangement behaves as a dipole from 80Hz to 3kHz, summing into a cardioid pattern with the bass drivers in the band from 80Hz to 200Hz. Listening panels in controlled trials have determined that imaging precision and soundstage width is consistently improved over the Legacy Focus system, for example, which exhibits an otherwise-similar monopolar driver layout.